A smartwatch has definitely made the lives of people easier with its two-in-one functionality. It offers the features of a watch and a smartphone at the same time. Thus, you do not always have to carry your smartphone to keep yourself updated about what is happening around you. Just wear a smartphone on your wrist like a normal watch and you are done! However, do remember that you will have to charge it occasionally like your smartphones. Apple and Samsung are two pioneers in the smartwatch arena. Apple has quite a few series of smartwatches with dials of different sizes. Since a smartwatch is undoubtedly more expensive than a usual wristwatch, you might want to give it the maximum protection you can. You can check out our list of case protectors for Apple smartwatch to get started. The Ouluoqui smartwatch bumper is made of soft and durable TPU. 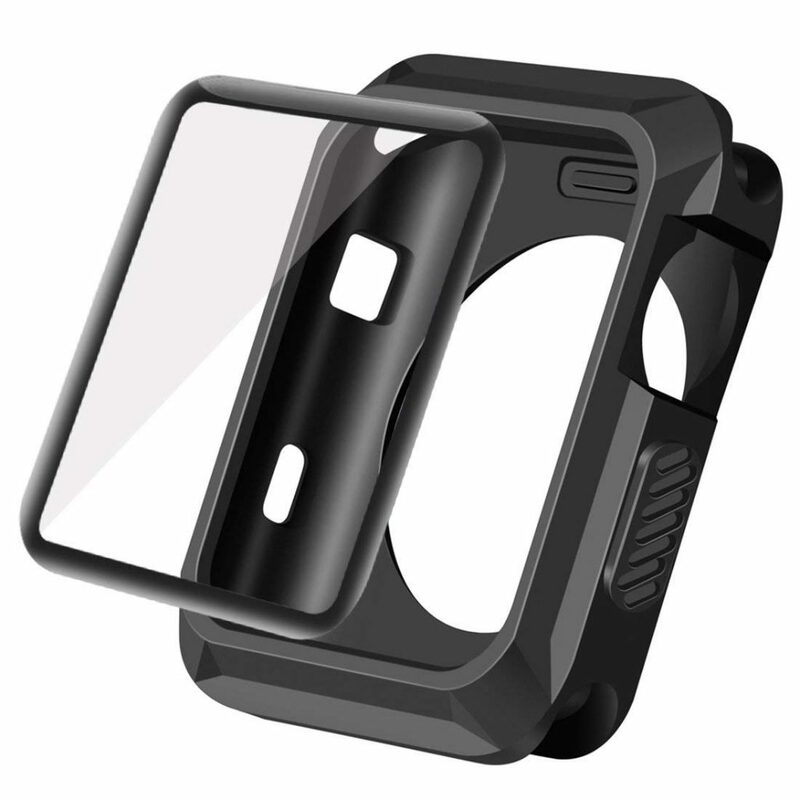 The bumper has a special design that allows it to cover the edges and sides to protect the smartwatch from scratches. The shatter-resistant and shockproof properties ensure that the accessory saves the device from accidental shocks, bumps and drops. When fixed on the bezel of the smartwatch, the black bumper stays a little higher than the dial to avoid the screen from coming into contact with the ground if it falls face down. The accessory comes with an 18-month warranty. This soft and easy to use Top4cus TPU smartwatch bumper is lightweight and does not make the watch bulky. The bumper is durable and covers the edges and sides of the smartwatch completely while giving a glass touch feel. 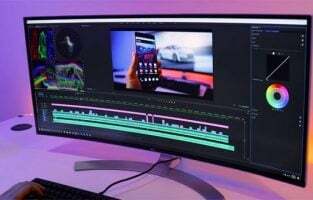 It is hardly noticeable on the bezel. However, it does not cover the rear of the watch. The smartwatch bumper is shatter-resistant and shockproof to offer protection against scratches, dents and bumps. The case protector allows you to charge the smartwatch without removing it. The flexible and yet tough accessory does not accumulate sweat during a workout. The bumper comes in twelve color options such as black, purple, red, clear, gold, gray and more. 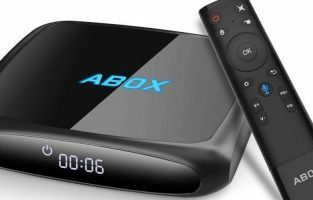 It is available with a 12 months warranty for either replacing the defective item without reordering or returning the original item. 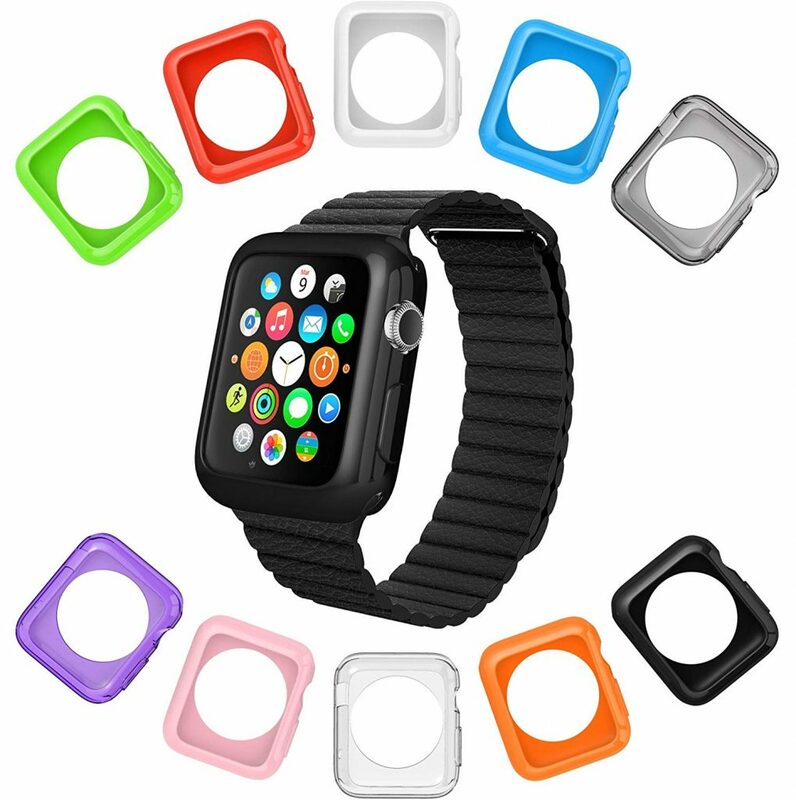 The protective bumper is suitable for people using 38 mm Series 1, Series 2 and Series 3 Apple smartwatches. The multiple colors available make the Top4cus case protector ideal for those who want their smartwatch to suit all outfits. 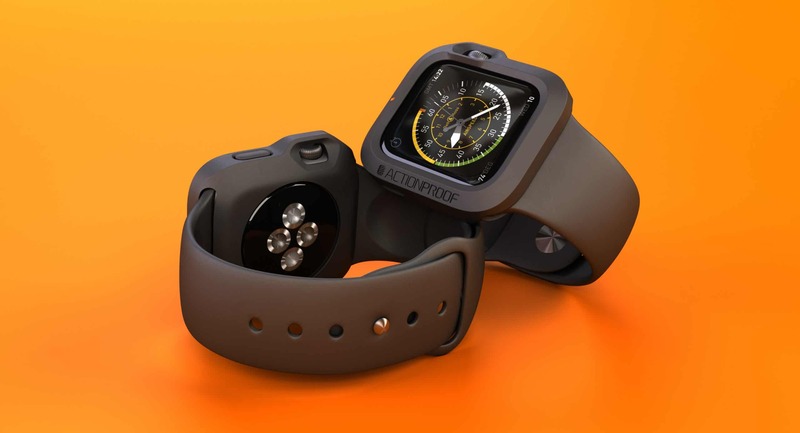 The La Zuzzi set of Apple Watch bumpers are slim and lightweight in nature. They are made of premium soft silicone. The soft gel prevents the formation of scratches and dings, as well as wear and tear on the metal surface of the smartwatch. They give the watch a slim fit and make the watch look only as thick as the original watch when put on it. The bumpers can be used even if the smartwatch has a screen protector fitted on it. The colors of the elegant cases are ideal for daily use. They are clear, transparent purple, black, pink, white, orange, transparent grey, red, blue and green. The set comes with a one-year warranty or a full refund if returned within a period of one year. The Coobes bumper case is made of high-quality aluminum alloy. The precise CNC cut allows accessing all the ports, buttons, sensors and camera without having to remove the snap-on bumper. 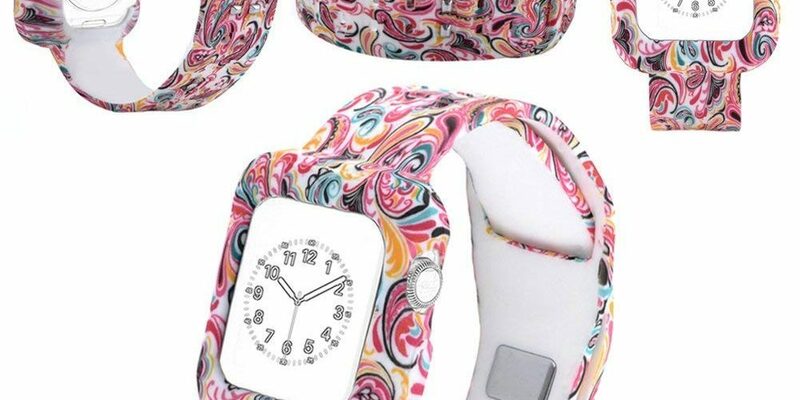 The case covers the smartwatch on all sides and prevents scratches. The accurately engineered case fits correctly on the watch. The bumper case is available in five matte color choices of black, gold, red, silver and rose gold. It comes with a long-term warranty of 36 months. The Catalyst case is made of impact-resistant rugged poly-carbonate and lightweight silicone. The case has shock-resistant and waterproof properties that surpass the MIL-STD-810G standards for drops and shocks. 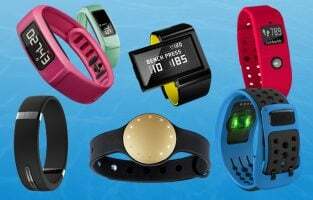 It has an ultra-sensitive screen and allows you to access all components and functions of the smartwatch such as a microphone, speaker, heart rate monitor and Bluetooth like how they can be used without a case. The case also does not have to be removed to charge the smartwatch. The accessory comes in three color options of rescue ranger, green pop and stealth black. The case is a good option for those who enjoy water-based activities or water-sports such as swimming, diving and fishing. 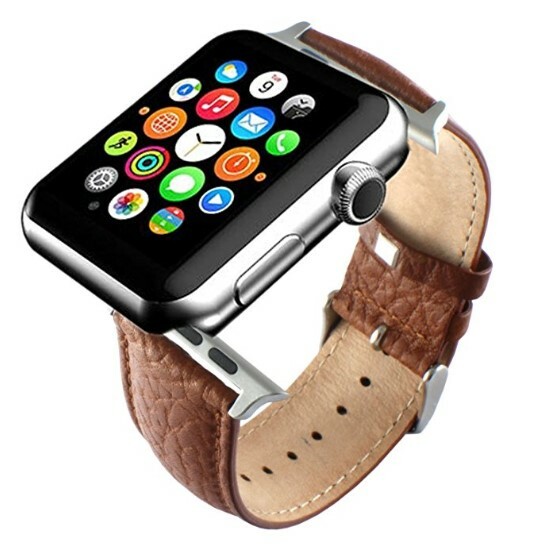 The accessory serves the needs of those who are looking for protective measures for their 42 mm Series 1 Apple Watch. The Julk ultra-thin screen protector is made of TPU and has a thickness of just 0.3 mm. The protector offers external surface protection by safeguarding the four sides and the screen. The smooth accessory features anti-collision and scratch-proof properties. During strenuous physical activities such as gym workouts, sweat may get trapped between the screen and the clear protector. This is because the case protector does not stick on to the screen and remains slightly raised above it. To wipe the sweat off, remove your smartwatch and take the case off. Use the cloth provided to clean the screen and the inside of the case. After the cleaning process, fasten the screen protector once again. The protection accessory comes along with a wet cloth, a dry cloth and a 24-month warranty period. The Smiling clear screen protector is made of high-quality TPU. The very thin protector comes attached to a bumper with curved edges to give the smartwatch complete 360-degree protection by covering the screen and curved edges. The bumper has accurate cutouts for accessing the ports, two microphones and buttons without removing the accessory. The clear nature makes it look like you have not put anything over the screen so that the smartwatch looks like how it originally is. The case cover has shockproof and anti-scratch properties to save the smartwatch from unexpected knocks, falls and bumps. There are chances of sweat getting trapped between the clear protector and the screen because of physical activities like gym workouts. This is because the case protector remains slightly on top of the screen without sticking to it. All you have to do is remove the accessory from the smartwatch and wipe its inside as well as the watch screen. You can then put the protector on once again. The accessory comes with five color options of blue, rose-pink, gold, gloss black and silver for the bumper. The Umtele dual layer bumper cover has a hard and stiff inner shell and a flexible TPU outer layer. The bumper has anti-scratch properties to prevent scratches from forming on the smartwatch. It also protects the watch against unexpected shock and internal damage. The impact resistant cover features precise cutouts to access all the mechanisms of the watch and to charge it without removing the accessory. The raised bezel offers complete protection on all sides and also the screen without having to use a screen protector. The back opening of the case protector makes it easy to fix the same on the smartwatch in minimum time. The accessory is available in four color variations of black, black white, black grey and black red. It comes with a one-year warranty. The durable Spigen bumper cover is made of flexible TPU. The bumper can be fitted on to the smartwatch with an easy snap-on mechanism. The cover comes with an aluminum button that supports easy pressing and solid feedback. The full edge coverage ensures that the smartwatch is free of scratches. It allows easy access to all the smartwatch features with zero interference. The exact cutout ensures that the smartwatch can be charged with the bumper cover intact. The shock-absorbent protector has a sleek, simple and precisely engineered design that gives it a rugged look with an accurate fit. The bezel is just slightly raised so that the smartwatch does not look bulky and it has no contact with the screen. The bumper cover is available in three color variants of black, rose gold and white. The Ownace metal case is made of German aluminum for strength and reliability. The accessory comprises upper and lower covers. Each cover features five magnets so that it can be clasped to the smartwatch easily. The case offers 360-degree protection to the smartwatch with its shockproof, anti-scratch and anti-drop properties. 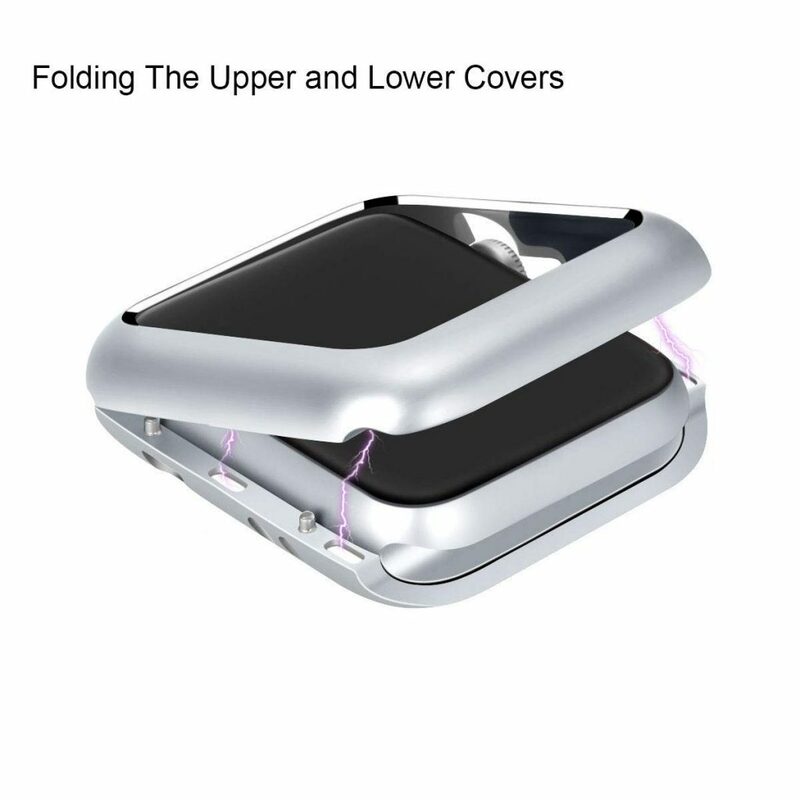 The magnetic cover is very easy to assemble and disassemble. To remove the cover from the smartwatch screen, open the upper cover and take the screen out. The metal case is available in two color variants of silver and black. It comes with an unconditional resend or refund within a period of 18 months in case of any quality problem associated with the cover. The watch case strap with the bumper case is available in five two-color combinations of black and yellow, gray and white, red and black, white and black, and white and pink. It comes with an option for full refund or replacement in case the band breaks or fades within the first 18 months of purchase. The Wolait bumper case and screen protector combo ensure the complete safety of your smartwatch by covering all four sides. The bumper case is made of soft and lightweight durable TPU with a rugged design. This design protects the accessory from scratches, dents and bumps. On the other hand, the screen protector is made of transparent tempered glass and has a black frame. 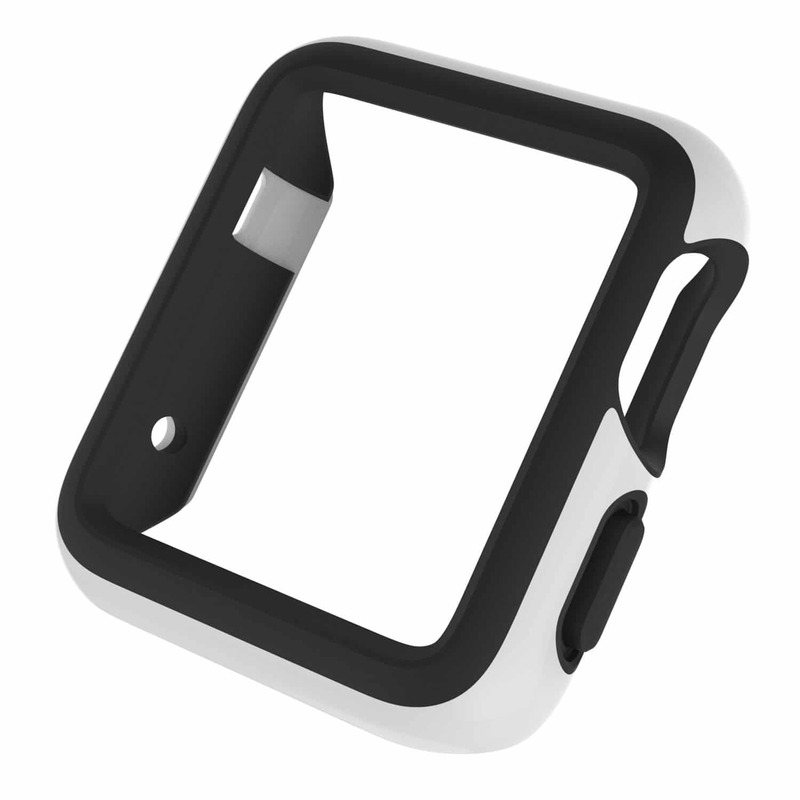 The case can be fitted very easily on to or removed from the smartwatch. It wraps around the watch firmly and does not fall off. 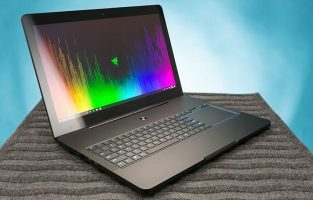 The precise cutouts ensure that there is no problem accessing either the screen or the various buttons and ports. The combination is available with three color combinations of black, navy and rose gold for the bumper case. It comes with a 12-month that comprises replacement, return or refund of the defective item. The i-Blason combo is a set of one clear TPU bumper case and two detachable clear tempered glass screen protectors with black frames. The HD screen protectors cover the screen fully and avoid scratches, cracks, dents or chips from forming on the screen with no compromise to screen quality or touchscreen sensitivity. The bumper case ensures a tight fit on the watch and has precise cutouts to protect the smartwatch from all sides without hindrance. It also supports charging of the Apple Watch with the case on. ActionProof Bumper was created based on the need of case protector for sport and any extreme activity. It’s made in Italy from premium, hypoallergenic, ultra-resistant rubber material. 360-degree rubber shock absorption feature and it protects the digital crown fully. Even though it protects your Apple Watch well but it still allows you to access button and screen easily. You even have a full access to rotate and press the digital crown while it’s protected. ActionProof Bumper will not disturb the performance of the microphone and speaker. Moreover, the sensors are always in contact with your skin. Compatible with 42 mm Apple Watch and available in 3 colors: white, black and orange. You can get it for $19.99 preorder, for shipping June 2015. 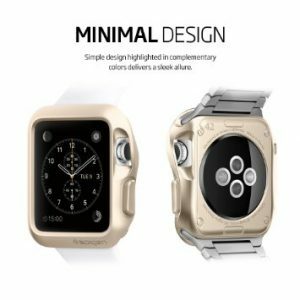 Spigen Apple Watch Case Slim Armor is not only offering a protection but also a stylish and sophisticated touch on your Apple Watch. 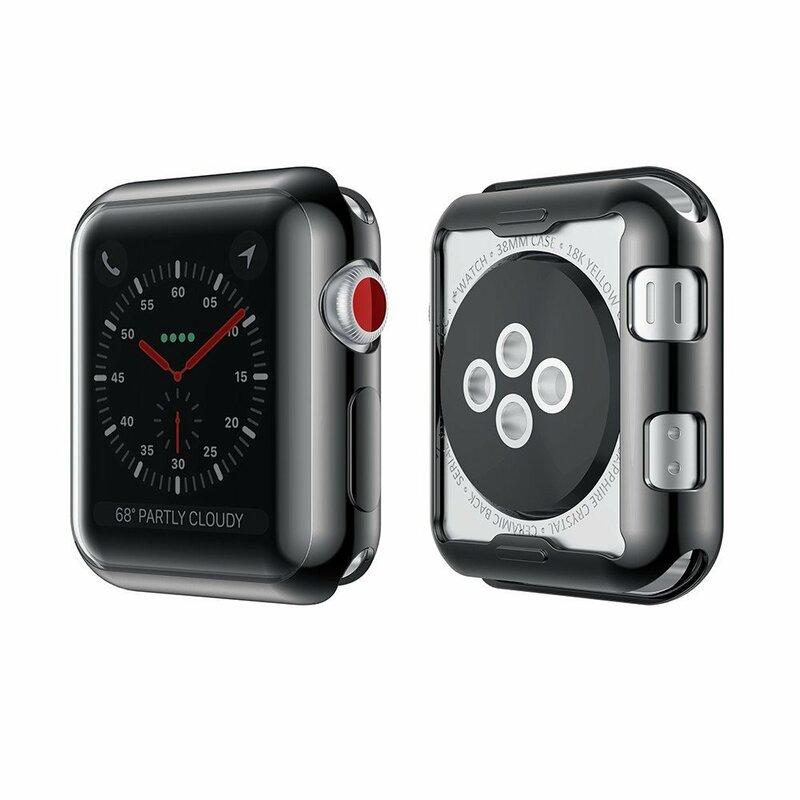 The protection is included all-around Apple Watch with covered buttons and it has 2 screen protectors. Spigen Apple Watch Case Slim Armor has a minimalist design with single layered TPU case which is flexible yet durable and 3 stylish colors: gold, silver, and white will give your Apple Watch more than a protection but also classy style. It compatible with Apple Watch 42 mm. Another great case that will protect your Apple Watch is this one. 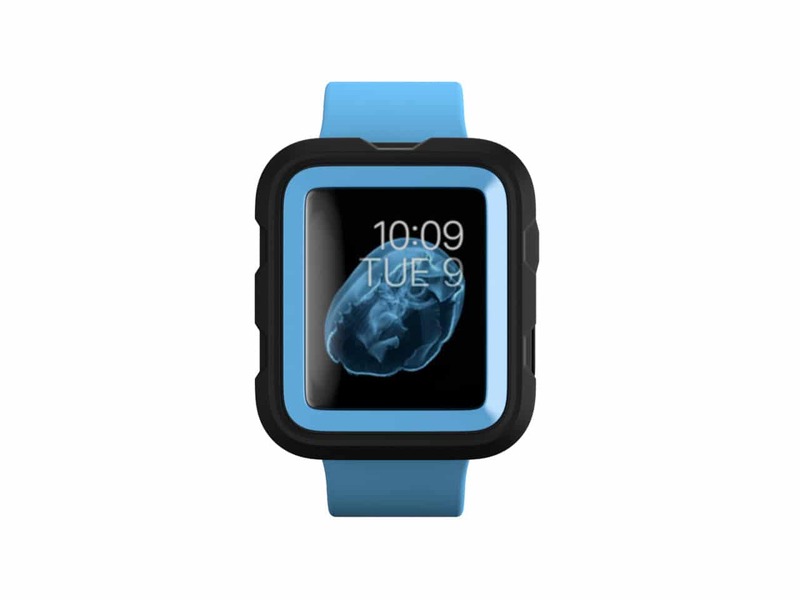 Spigen Apple Watch case is made with TPU and PC and it provides the full protection for the watch. 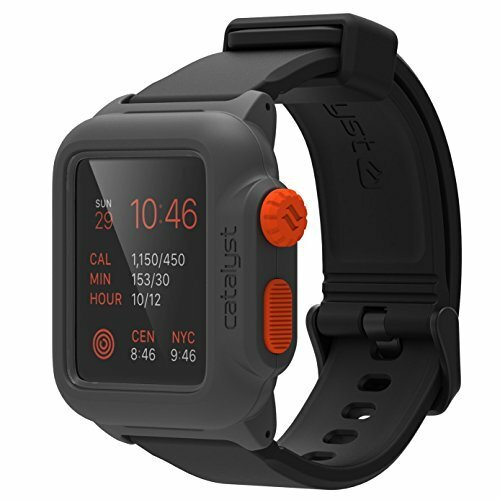 This case is designed for the Apple Watch Sport 42mm, all models released in 2015. It comes with air-cushioned 4 corners and a slim design and you will have the access to all the features and controls. You can buy this sturdy case on Amazon and its price starts at $5.99. This is one of the premium Apple Watch cases which ensure that the elegant metal look of the watch doesn’t end up hidden underneath rubber. 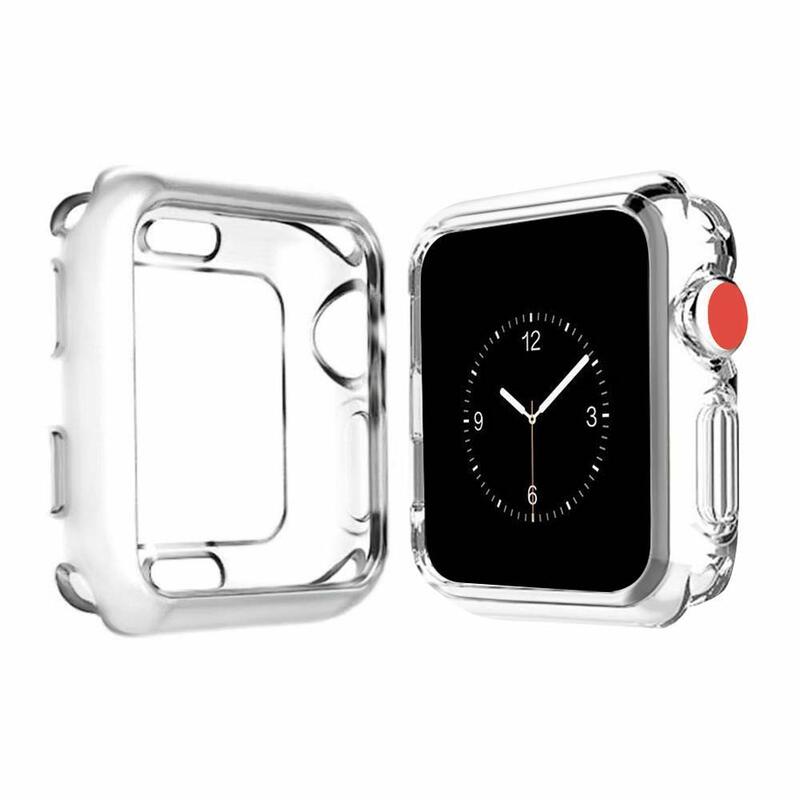 Available for the 42mm Apple Watch only, this case is made from aircraft-grade aluminum. 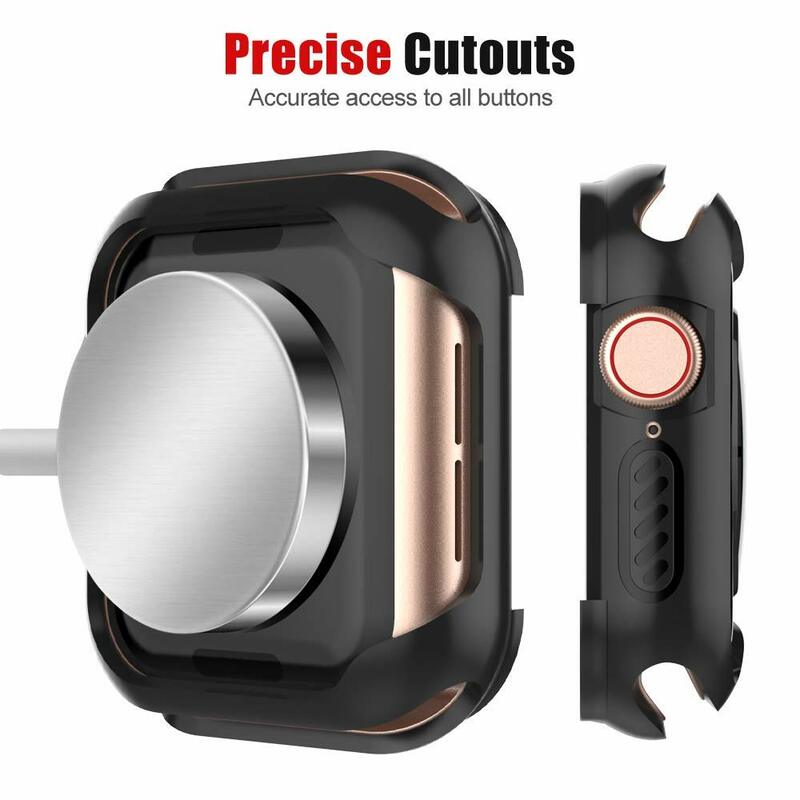 The case connects to the watch with the help of stainless steel screws and it comes with a variety of bands that you can buy separately to match the look. It warrants the cool metal look of the watch and ensures ruggedness as well. With this case, your watch is protected from scratches and falls without making any concessions to its looks. This thick protective case is available for the 42mm watches only. Available in colors of black, white, neon green and coral, the Survivor Tactical case has the ability to absorb shock and resist impacts. It includes a cover for the screen too. 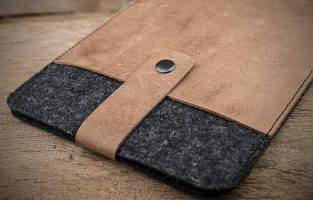 While some may find it slightly bulky, it is a great case for people who work outdoors and want to protect their Apple Watch from sudden falls or knocks. The good thing about this is that it does not interfere with the touch ability of the watch and it is easy to clip on without having to remove the band. 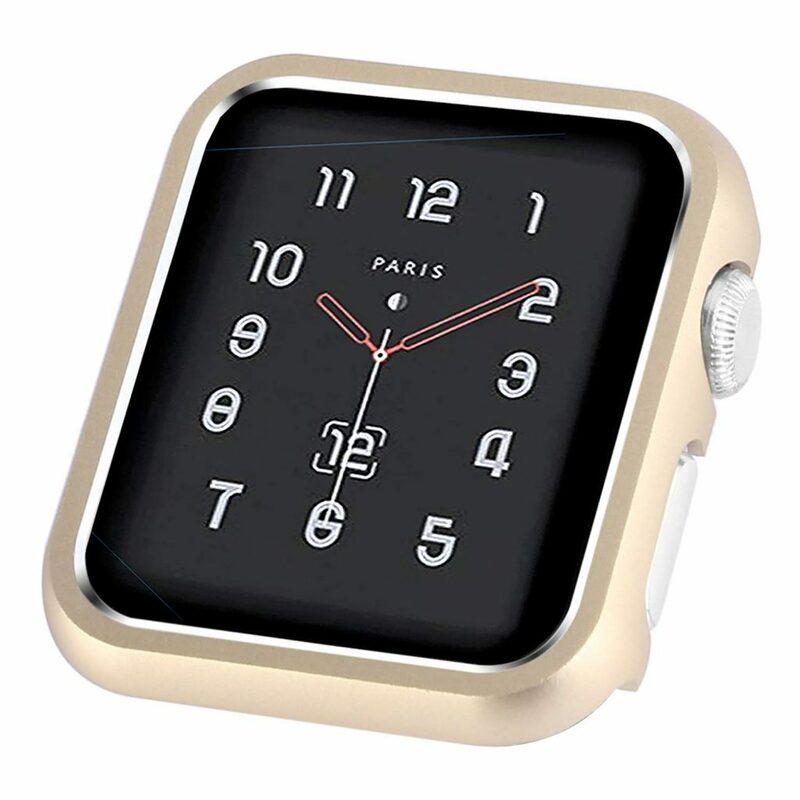 Designed for the 42mm Apple Watch only, the Appleproof watch case comes in three groovy colours. Crafted in Italy, the cover features hypoallergenic rubber of very good quality. Built for rugged use, this case is easy to install and remove. It fits really well and the material used for the case ensures longevity and gives the entire design a cool look. Twelve South has very interestingly created a watch case that can be worn around the arm. 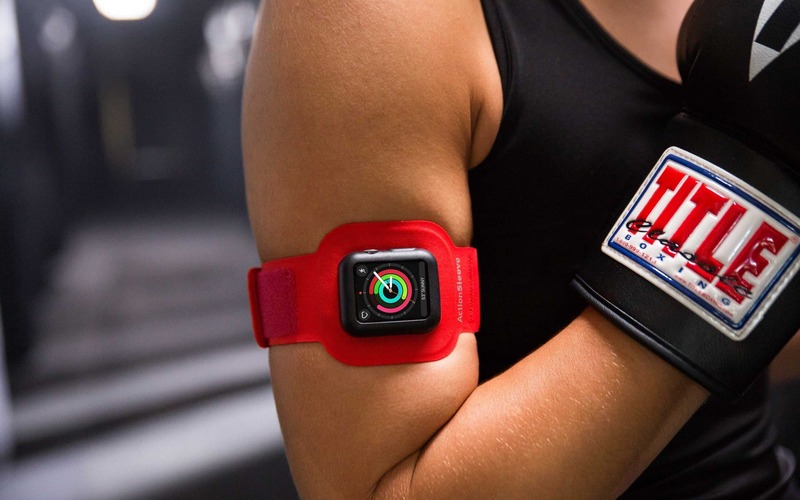 It is brilliant for people who lift heavy weights, and participate in contact sports or those who may not have a wrist to wear the Apple Watch. The silicon outer frame makes sure that the watch is protected while the neoprene strap makes sure that you enjoy a snug fit on your arm. 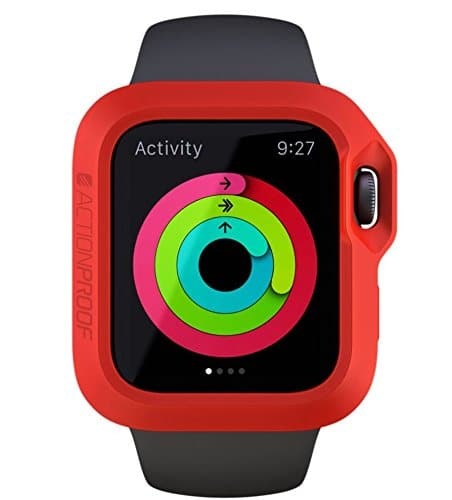 If you want your wrist to move more freely while you enjoy a sport then consider the Action Sleeve which comes in red and black and is available for both Aapple Watch variants. The impact resistant exterior of this case is perfect for both Apple Watch sizes. While it plays low when it comes to aesthetics, it definitely does well when it comes to handling impacts. 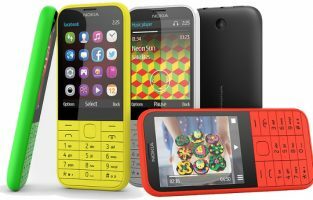 If you like bright hues and pop colours then the Candyshell cases wilbe more suitable for your lifestyle. For the price you pay, this is a great case. 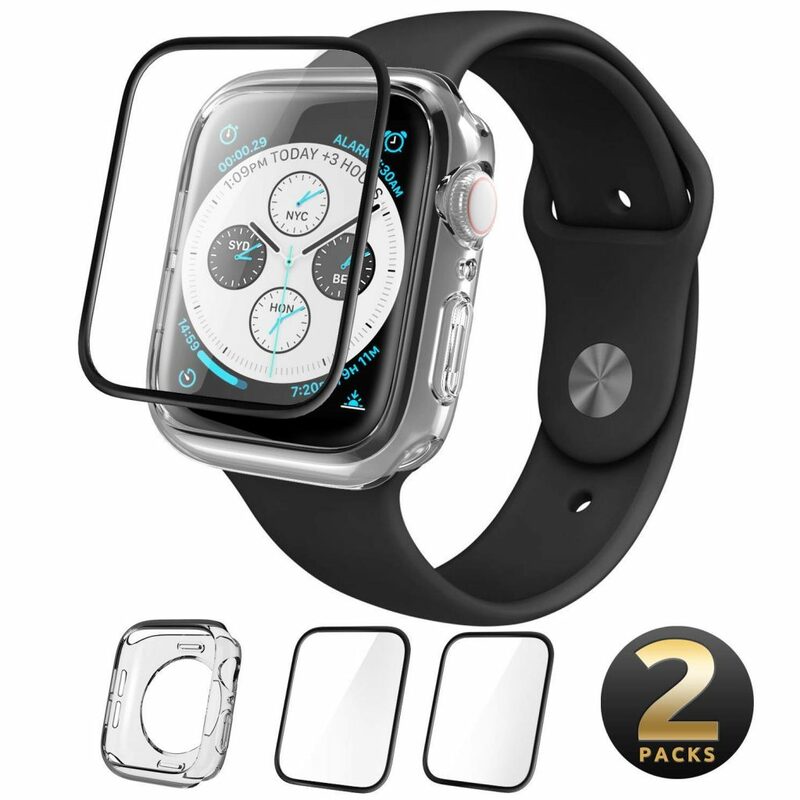 There are quite a few types of nominally priced case protectors for your Apple smartwatch. Most of them are thin and lightweight, and do not make your watch bulky. 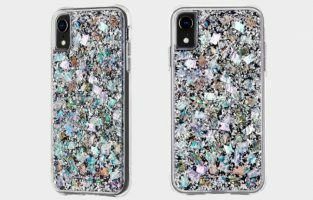 You might want to first decide if you want a colorful accessory or a clear one that appears almost invisible. Once you have made the choice, the next aspect worth considering is if you want a protector that covers your screen or not. If the answer is yes, you can choose from those that cover both the sides and screen or the stick film that covers only the side. 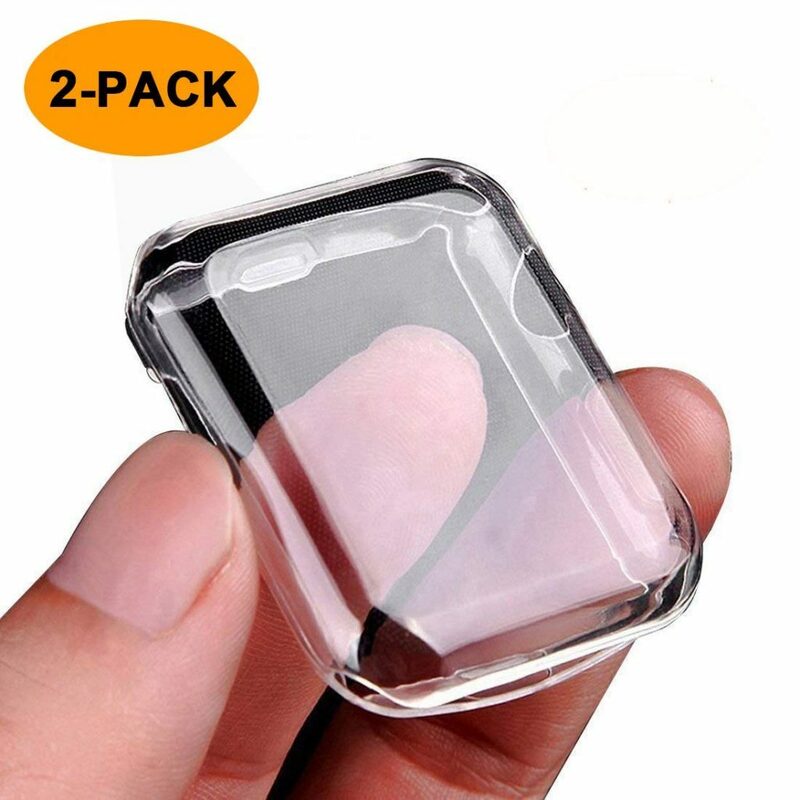 On the other hand, if you do not want the screen covered, bumper cases with raised bezels are ideal as they protect the screen as well if the Apple Watch falls face down accidentally. 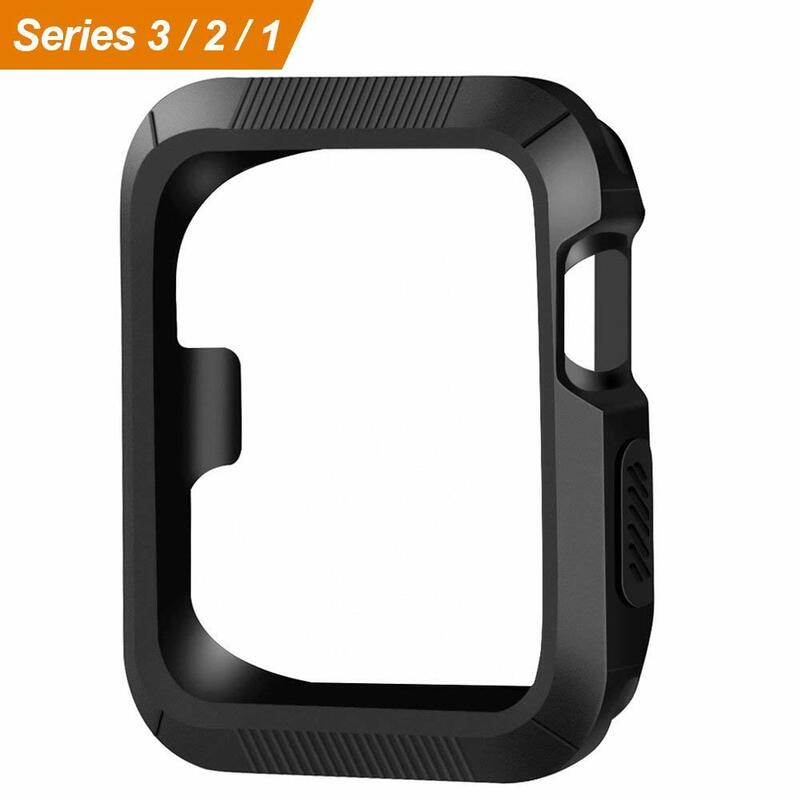 There is also an option for those do not want their case protector to look different from the watch band. For such people, waterproof bands with same type bumper cases fitted on them are the best bet.